Jan. 15 - 2019 NAITC National Conference online registration available. Feb. 1 - Deadline for AFBFA 'On The Farm' Workshop applications. March 1 - Deadline for 2019 CHS Foundation Scholarships. April 15 - NAITC National Conference Early Registration ends. You can support agricultural literacy in K-12 classrooms by designating NAITCO as your charity when you shop Amazon. 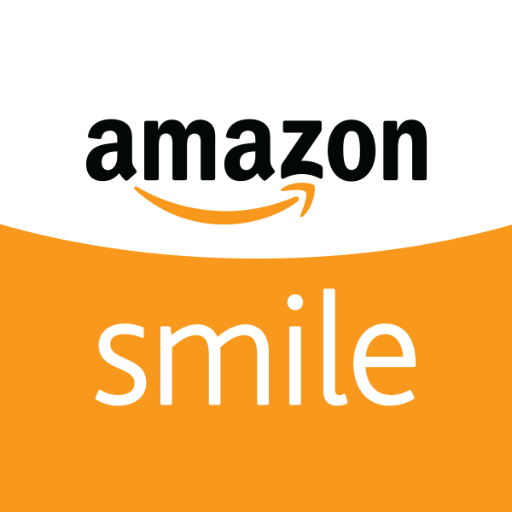 AmazonSmile allows you to select a non-profit to receive 0.5 percent of select purchases. Check out AmazonSmile to support NAITCO. NAITCO now offers two opportunities to join the organization and show your support of agricultural literacy in K-12 classrooms. For $25, teachers, informal educators and volunteers can join. For $10, students can join. Learn more and join NAITCO today! 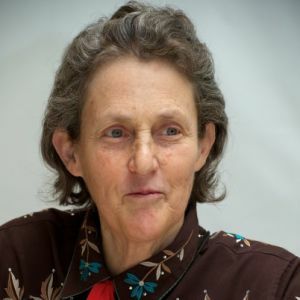 NAITCO is pleased to anno unce that Temple Grandin, world renowned animal behaviorist and autism spokesperson, will be a keynote speaker at its 2019 national conference 'AgVenture in the Natural State' set for June 19-21 at the Little Rock Marriott in Little Rock, AR. She will be available for a book signing and will give the keynote address at the banquet the evening of Wed. June 19. NAITCO is offering a special Temple Grandin sponsorship to organizations interested in underwriting her presentation. Please email NAITCO Development Director Randy Bernhardt at rjbernhardt@aol.com for more information. Agenda, Workshops - The conference kicks off the morning of Wednesday June 19 with traveling workshops to learn about agricultural and educational topics such as rice and poultry production, worldwide hunger at Heifer International, and issues facing the 42nd U.S. president at the William J. Clinton Presidential Library and Museum. An opening luncheon begins at noon that day and workshops will begin afterward and will be held throughout the week. Workshop topics include GMOs, chemistry in agriculture and hands-on school garden approaches to learning, among other topics. The conference ends mid-day Friday June 21. Registration - Registration for the conference is now available online at Conference Registration. Early registration is $435 until April 15. After that, it goes up to $485. Lodging - The conference will be held at the Little Rock Marriott located at 3 Statehouse Plaza in downtown Little Rock. To book a room at the conference hotel, please visit Little Rock Marriott. Bingo - Bingo game night will be held the evening of Wednesday June 19 after Temple Grandin's keynote address to raise funds for NAITCO and its programs. Bingo cards can be purchased ($20 for 10 cards) online when registering for the conference or onsite at the conference. The NAITCO annual meeting of state contacts is scheduled for 8 a.m. to 5 p.m. Tuesday June 18. Also scheduled for Tuesday June 18 is an optional pre-conference tour to Crater of Diamonds State Park where participants can mine for diamonds. Space is limited so sign up for the pre-conference tour as soon as possible. CHS Foundation is offering scholarships to help K-12 teachers who would like to attend the NAITC national conference in June in Little Rock, AR. The scholarship covers early registration to the conference of $435. The deadline for applications is March 1. Learn more about CHS Foundation Scholarships and submit a scholarship application to attend this year's national conference.. In addition, CHS Foundation provided grant funding for 15 agriculture-related classroom projects this school year. Learn more about projects funded by CHS Foundation Classroom Grants. The online application for CHS Foundation Classroom Grants will become available in mid-July for next school year. The deadline for applications is mid-September. NAITCO and Nutrien, Ltd. continue to partner to roll out educational platform Journey 2050 to educate 7th-12th-grade students about sustainability on the farm. Students can play the game using handheld devices or computers and compete against each other to become the most sustainable farm. There are lesson plans, videos and other educational tools to supplement the game. Another interactive farming game Nutrien has developed and made available to play at home is Farmers 2050. In addition to planting, cultivating and harvesting crops, players trade goods and market their crops as well. Help Nutrien reach its goal of one million users by downloading it at Farmers 2050. The American Farm Bureau Foundation for Agriculture (AFBFA) is kicking off 2019 with two opportunities to educate teachers and students about the importance of agriculture. It's first 'Purple Plow STEM Challenge' of the year invites students to investigate how to improve the well being of pollinators. Free lessons and a facilitator guide for teachers is available at Purple Plow Pollinator Challenge. In addition, AFBFA is once again offering this year its 'On The Farm' professional development workshops to bring science to life for participants who will interact with farmers, ranchers, researchers, nutritionists and veterinarians in Kansas City, KS and Syracuse, NY. The deadline for applications is Feb. 1. Learn more and apply to attend an 'On The Farm' workshop today! Ardent Mills, a leading flour supplier and grain innovator in the U.S., is a sponsor of the 'Story of Your Dinner' project to educate students and consumers about food preparation and food safety. The recipes, videos, graphics and student activity sheets are available free of charge to students, health educators and others at Story of Your Dinner. The project was developed by The Partnership for Food Safety Education. George Washington Carver for Kids: His Life and Discoveries by Peggy Th omas examines George Washington Carver's agricultural scientific discoveries and includes easy-to-implement activities for students. The ISBN number is 978-091586403 and the book became available earlier this month. 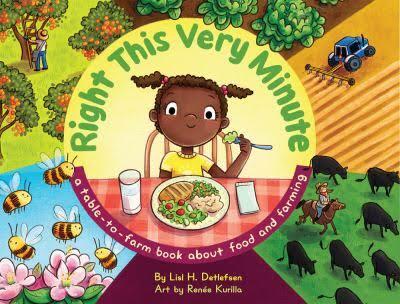 Another new book, Right This Very Minute: A Table to Farm Book about Food and Farming, by Lisl Detlefsen is a tale of how food gets to the table. The ISBN number is 978-1948898003 and the book will become available in February. Meanwhile, meet Lisl Detlefsen at the 2019 NAITC national conference in June in Little Rock, AR. She will present a workshop about the importance of agriculturally accurate children's books particularly concerning technology in agriculture. Purchase these new books and use NAITCO as your AmazonSmile charity. This book review is provided by Kevin Daugherty, education director of Illinois Agriculture in the Classroom. Would you like to use a drone in your classroom? Turn your school's gym into a hypothetical 'field' or 'sheep range' and use a drone to demonstrate how these devices can be used on the farm. 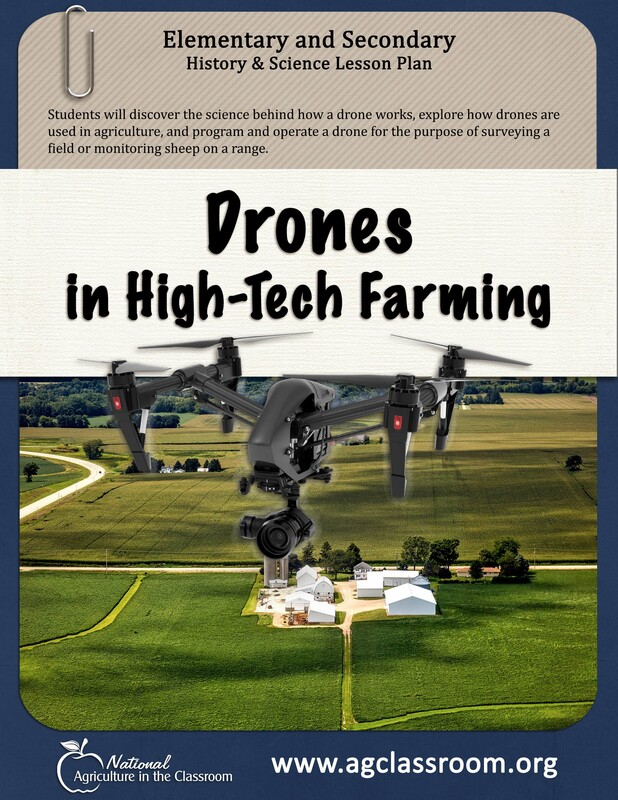 Drones in High-Tech Farming is a new lesson offered on the Curriculum Matrix for upper elementary and middle school students. Students will learn about the science behind drones, how drones are used in agriculture and how to program and operate a drone.